Costly and laborious prototyping hinders a design team, resulting in compromised schedules and budgets. However, with Pro/ENGINEER Mechanica, designer engineers can better understand product performance, and accommodate the digital design accordingly -- all without needing a specialist’s FEA-background. The result: engineering gains early product insight, improves verification and validation processes, and delivers higher quality products at lower cost. Conduct standard analysis types, including linear static, modal, buckling, contact and steady state thermal. 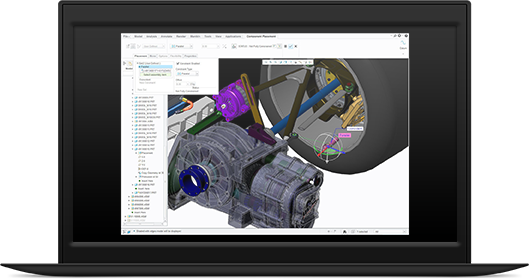 Obtain real-world performance data by directly applying conditions to design geometry without requiring data translation. Fast, automatic solution convergence, mapped precisely to underlying CAD geometry; 3rd party solver output. Increase innovation by simultaneously designing and simulating results of design variations.